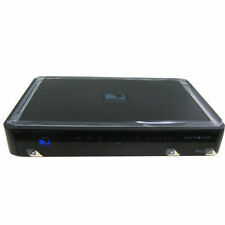 DIRECTV H25-700 hd TV Receiver. Condition is Seller refurbished. Shipped with USPS Parcel Select Ground. TUNER: Rafael R836. Full HD and HDMI 1.3/HDCP 1.1 Copy protection. Type: HD digital. Signal input: IEC-type female. Plug: EU TO US plug. Channel search with automatic/manual scan. Signal strength bar for digital transponders. 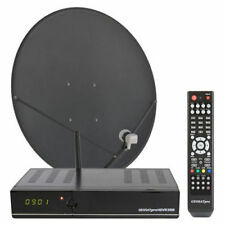 The Directv H24is a powerful receiver that allows you to enjoy Directv and free-to-air channels. 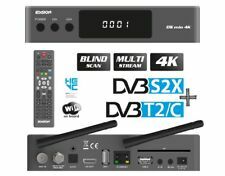 This Directv HD receiver allows you to watch over 130 in 1080i/p resolutions with potential access to over 256 channels in all. 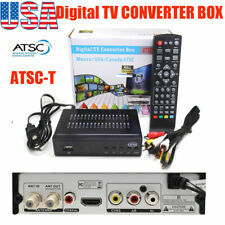 Direct TV H.D Receiver w/card Model #H25-500. 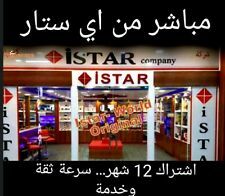 Hardware CPU MSTAR-MSD7802(128 pin) MIPS 34Kf@600MHz Memory 32X16Mbit DDR2 Frequency1066 Flash 32M bytes Demodulator Type MSB1237 Chip Set TUNER Rafael R836 USB 2.0 Embedded One Host, Front Panel 4-digit LED display on front panel red LED Standby,green LED Lock Rear Panel Tuner RF input connector （Standard ISO/IEC 13818-1; ARIB STB-B10） Tuner RF Loop through connector （loop through function） HDMI V1.3 AV RCA x1 Ypbpr RCAx1 Coaxial x1 Power AC100~240V 50Hz/60Hz Demodulation Standard ISO/IEC 13818-1; ARIB STB-B10 Input max. bit stream rate: 36Mbps (serial) / 9Mbps (parallel) ATSC NTIA and 8VSB Standard QPSK, 64QAM, 256QAM FEC: 1/2, 2/3, 3/4, 4/5,5/6, Guard Interval: 1/4,1/8,1/16,1/32,1/128 FFT Mode: 2K, 8K, 32K RF input frequency: 54-803MHz Bandwith: 6MHz Input level: -83 - -5dBm. One C41W-100 Genie Mini. -One Remote for Genie Mini. PVR: Support. USB Wifi: Support (RT5370 module). USB Decode. 1 HD Cable. 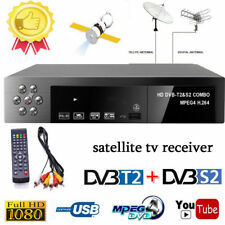 Video Decode: High Definition MPEG4 AVC/H.264 HP L4.1,MPEG-2 MP HL/ML. Video Decode. Consumption: 10W Max. Sampling Frequency: 32KHz, 44.1KHz, 48KHz. 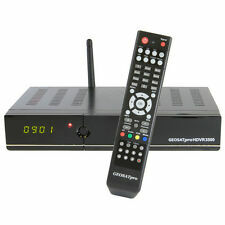 1, 1080P Full HD DVB-S2. 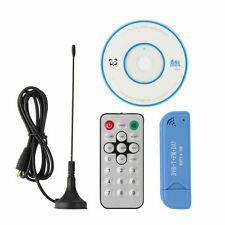 6, Support Multi-CAS, USBWiFi, Ethernet,Full speed 3G usb dongle,GPRS dongle, PVR Ready. 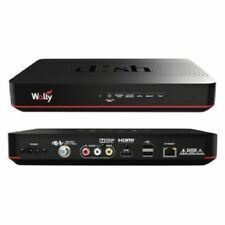 7, Support WEB TV,IPTV,Youtube,Youporn,Redtube. Local pickup is not available. Main features. Highlight 1. 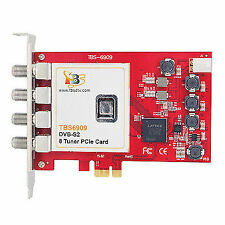 Fully DVB compliant ，Live FTA Digital Picture and Sound 2. 3.5 inch LCD Colour Screen, 3. 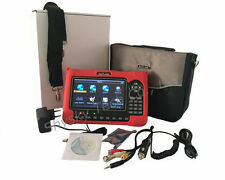 Lithium-ion 3000mA Battery ，Normal work up to 4 hours， 4. Support AV in and AV/HDMI out function,5. Support 13V / 18V / LOCK status panel LED display directly, 6. Support battery power display, 7. Software Upgradeable via USB 8. Technical support website:www.freesat.cn Note: We reserve the right to change the design and OEM/ODM supported.